After watching a video of my third Toastmasters speech I noticed something about my posture. I am upright and stable but my head is tilted backwards so that I am looking down my nose at the audience. This is my default posture that I have noticed myself doing all the time. In photographs of myself my chin is often pushed forwards. When practicing Aikido my Sensi occasionally tells me to correct my posture. When working at a computer my head is in the same unnatural position for hours at a time. When I see other speakers adopting a similar posture I think it looks unnatural and confrontational. I have noticed that this posture is most common among people wear glasses. 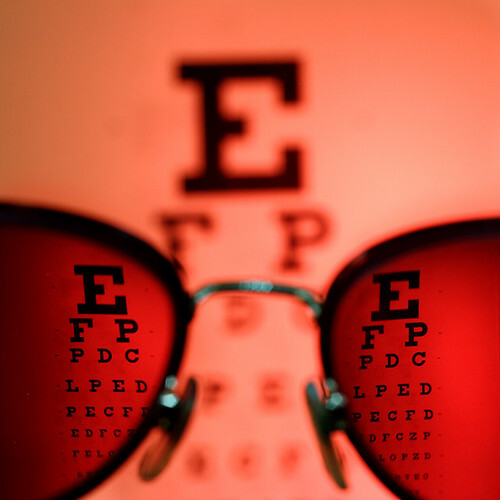 Spectacle lenses are most accurate when you look directly through their centre. If you look through the edge of your lens there may be some distortion and your vision may be obscured by looking at or around the frame. There is a tendency among glasses wearers to orientate their heads so that they are looking through the centre of the lens. If the glasses are fitted too low or have slipped down the wearer’s nose then the best vision is achieved by tilting their head back. Check out how snooker players ‘stylishly’ get around this problem. Public speakers should be aware of the benefits of good posture. There has been some debate about exactly how much body language matters, but speakers with tall, natural postures look confident and at ease. Furthermore posture has been shown to reduce shoulder, neck and back tension. At the moment I am not doing myself any favors in terms of connection with my audience or my health. Do you wear glasses? Check that they are not encouraging you to tilt your head in an unnatural way. You can do this in the mirror or by videoing yourself. I have been wearing glasses for fifteen years and over that time my posture has changed. I am currently in the conscious incompetence stage of fixing this issue. Holding my head in a natural position feels very odd but I’m trying to catch myself as I default to a bad posture and correct it immediately. If anyone has any good tips on correcting their posture please add them in the comments. This entry was posted in Speaking and tagged glasses, Posture, spectacles. Bookmark the permalink. Post a comment or leave a trackback: Trackback URL. I’m told that another benefit of good posture (beyond health reasons and image/stage presence) is the effect it can have on the way your voice sounds – interesting stuff. Did you ever find any solutions to this glasses-posture problem? I’ve been aware for quite some time that my wearing of glasses – bifocals, at that – has negatively affected the way I carry my head (back and down!) and I’ve been surprised that this issue does not seem to have been widely addressed by proponents of the Alexander Technique. I’ve been thinking that a large part of the problem would be solved if the temples/sides and/or the bridge were adjusted so that the specs were carried permanently higher. I intend speaking to my optometrist the next time I need a new prescription. For years I have had my glasses made with the prescription centered higher in the frame than typical, so that when the glasses inevitable slide down, I am then looking through the center. This should be done for all children. At 60, I am now paying the price of a lifetime of poor posture I believe started with wearing glasses.